It was an active start to the New Year, with trading from West Australia maintaining momentum during the holiday period. Rates for China hovered around the mid $6.00s, a few cents off the highs seen during the seasonal break. Increased trading was evident from Brazil as the week closed out, with talk of Vale fixing four or five ships direct at around $16.00 for end January/early February loading, Tubarao to Qingdao. Earlier expectations had been for rates nearer the mid $16.00s. CSN also took tonnage for 14-22 January from CSN to Qingdao, but little else emerged. Trading increased in the North Atlantic, with fresh transatlantic cargo and some negotiations underway for fronthaul at rates possibly a shade lower than previously anticipated. The coming week should produce a clearer picture as more return to their desks. It was a short week, with many yet to return to the office until this week. The Atlantic was subdued, with a lack of fresh enquiry especially for inter Atlantic trades. A lengthening tonnage profile meant rate levels came under pressure. A number of Continent ready vessels decided to buy some time by fixing short Baltic rounds, with levels dipping below $10,000 on these trades. South America witnessed greater activity, but here too rates softened. As the week closed out, there was a rumour of $30.00 per metric tonne concluded for 20-29 January dates Santos to China. The Pacific saw relatively good demand particularly from Indonesia and NoPac. However, with South America looking weaker, owners were less inclined to ballast and charterers maintained, with their ideas helped by a softening FFA market. Following the seasonal holidays, a short week saw the BSI move in a negative direction. Charterers made the first move, covering requirements with distressed vessels remaining open from the holiday period. Limited activity surfaced from the Atlantic, but brokers said that demand was low across the basin. From South America a grain charterer fixed on subjects a 57,900 tonner delivery South Brazil trip via the Red Sea with sugar, redelivery Port Said, in the mid upper $14,000s. A 58,700dwt vessel fixed from the US Gulf to West Coast South America at $24,000. From Asia there was a steady flow of cargoes but rates were under pressure. A 58,700 tonner was said to be booked delivery Hong Kong trip via Australia, redelivery Singapore-Japan range, at $9,200. The Indian Ocean saw increased fresh enquiry but limited fixtures. However, a 57,000dwt vessel went in the low $11,000s for Arabian Gulf to India. The return to work mid-week after the Christmas and New Year celebrations led to a slow start, with many suggesting that a clearer picture would not emerge for another few days. However, as last week progressed, many routes saw negative movements. 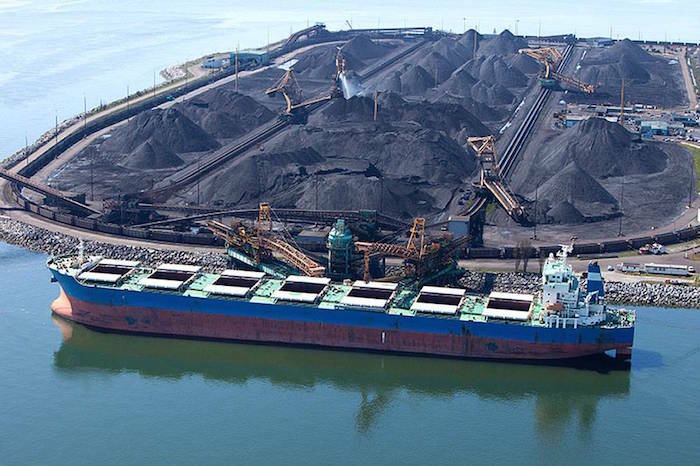 Brokers suggested that rates dropped from the US Gulf and East Coast South America due to a lack of fresh enquiry.. A 28,300dwt vessel was fixed delivery North Brazil, for a trip with steels, redelivery West Coast North Pacific, in the mid $12,000s. A 37,800 tonner fixed delivery South West Pass, redelivery West Coast South America, at $13,500. The Asian routes also remained under downward pressure. A 32,000dwt vessel was rumoured fixed delivery Indonesia trip via Australia, redelivery Thailand, in the low $6,000s. It remained to be seen what the market will trade in the next few days.